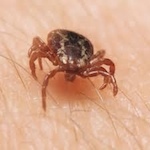 With spring coming into full swing, so are ticks and the warnings of Lyme disease. But just how serious is this disease? Jason Hartman interviews Tom Grier, Executive Director of Pathology Studies at MIBDEC, a non-profit organization. Listen at: www.HolisticSurvival.com. Tom tells his horrendous personal experience with Lyme disease that went undiagnosed for years, and was reluctantly diagnosed with Multiple Schlerosis. He shares his story of new symptoms that popped up continuously, including a constant severe pressure in his head. Finally, one doctor looked at his chart and told him that he had late stage Lyme disease. Tom discusses the conspiratorial angle between insurance companies and scientists and doctors, which has led to many people not being treated properly for the disease. He explains that Lyme disease was first described in 1975. It was not known what caused it, but two housewives in old Lyme, Connecticut, had found over 200 cases of juvenile rheumatoid arthritis right in their neighborhood, which was about 50 times the national average. Unfortunately, the health department didn’t want anything to do with it. It was two years before they sent experts out and at first, these experts got everything wrong about the disease. It was several years before accurate information became available and yet testing and treatments have not been changed based on the pathology that is necessary to find better treatments. Thomas Grier M.S. studied Clinical Immunology and Microbiology at the University of MN Duluth, and began a doctorate program in Geriatrics until the program was discontinued. He then worked on human vaccine development and developed antibody testing to detect bacteria in Pylonephritis. He also worked on a T-cell model of Leukemia in mice trying to target the immune system against Leukemia-Lymphocytic markers to reduce Lymphocyte levels. In 1990, he was misdiagnosed with MS and was finally diagnosed with Lyme Encephalitis in 1991. Following his fight with recovering from this disease, he wrote the “Lyme Disease Survival Manual” for patients, which sold worldwide. Currently, Tom is the Executive Director of Pathology Studies at MIBDEC. MIBDEC is an non-profit organization trying to register Dementia and MS patients to donate their brains to science to look for spirochetes (Lyme) as a possible connection to some (not all) dementias. He does this because of the refusal by health departments, the NIH or CDC to do the proper work to rule out spirochetes within the brain as a cause of our increased rate of dementia in America and around the temperate latitudes of the Northern Hemisphere. Also like many in his field, he is concerned about the government not telling us the truth about epidemic diseases and the purposely funding of bad science. There are also conflicts of financial interest that prevent good science from prevailing.